*The material does have a few small black spots. Snap into your Shimano SPD pedals with the ultra-durable Chrome Truk SPD Shoe and ride without fear of dreaded footwear blowouts. Chrome has been making urba-bike-messenger-worthy gear for years now, and has earned a reputation for quality. Truk SPD shoes keep this tradition alive. 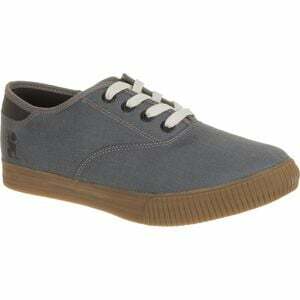 Truk SPD shoes are made with some of the toughest materials in the shoe industry. 1000-denier Cordura uppers are virtually blowout-proof. For the soles, Chrome chose to use vulcanized rubber for its incredible toughness. It also added a rubber heelcup and a nylon/fiberglass shank for pedaling efficiency and protection.